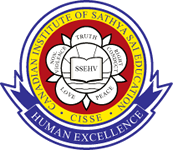 The book "Global Overview of Sri Sathya Sai Education" was developed by educationists involved in Values Education throughout the world under the direction of the Education Committee of the Sri Sathya Sai World Foundation. This book is now available for reading online in web page format. You may click this link and visit the Global Overview Web Page. Below, you can download pdf files of the various chapters. In the near future, we hope to have a version that you can read directly on the web. Other publications will be added as they become available.